For the last few years I’ve been looking for a way to give back to the community and luckily I found the perfect fit for me – I am going to be a coach for a not-for-profit called Girls on the Run. (According to the official website,) Girls on the Run is a life-changing, experiential learning programs for girls age eight to thirteen years old. The programs combine training for a 3.1 mile running event with self-esteem enhancing, uplifting workouts. The goals of the programs are to encourage positive emotional, social, mental, spiritual and physical development. When I first heard of the program, I thought it was more of a fitness program aimed to get girls in shape for a 5k; however the more that I have learned about it, the more I realize that it is much more than that. 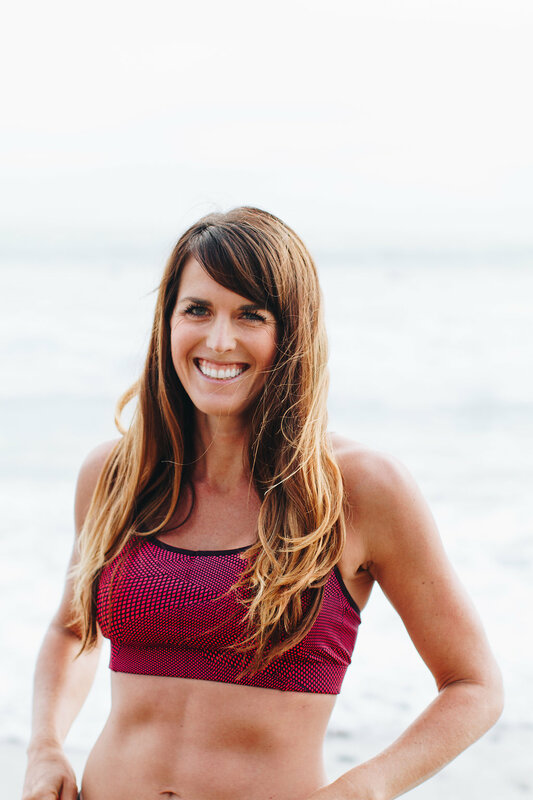 The founder, Molly Barker, did years of research before putting together the carefully thought out twelve week curriculum that focuses on three areas: understanding ourselves, valuing teamwork, and understanding how we connect with and shape our world at large. Each lesson (two per week) introduces a different topic within one of the areas and incorporates a lesson into physical activities. The girls are never running without a purpose, as every run has some sort of game associated with it. 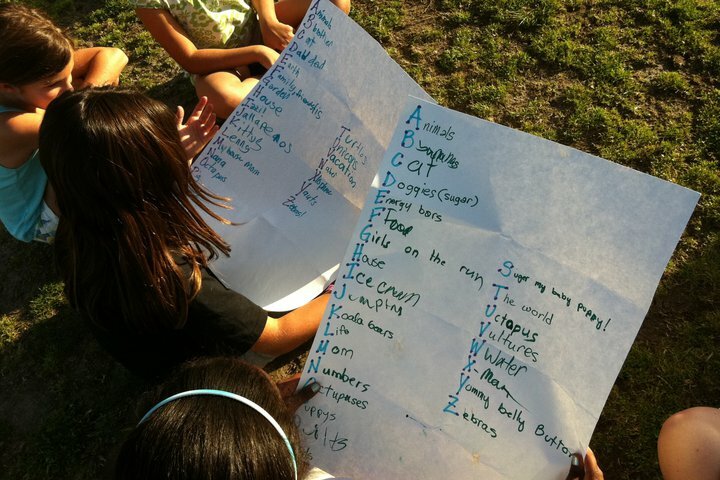 They may run laps for a number of beads or stickers that relate to a lesson, or run 400 meters to mark off a letter in a sentence about teamwork that is written on poster board, or run around the track and drop a paper into a box that they wrote a bad habit on each time they pass the box. At the end of the twelve weeks, the girls participate in a 5K. Some of the girls run the entire 3.1 miles without stopping and others alternate between walking and running. However, in the end, no one is left behind, everyone is a winner, and each girl is accompanied by a Running Buddy volunteer (some of whom are coaches and others are just volunteers for the 5k only). 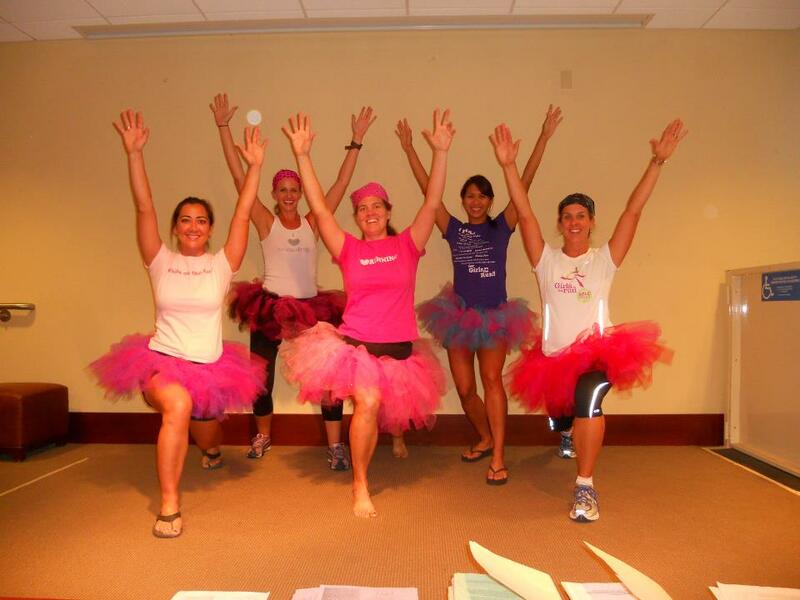 I volunteered for Girls on the Run by submitting a coach application online in the Spring. I was contacted in early summer that I would be a coach and last weekend I attended my official coach training. In addition to a background check and fingerprint, attending the coach training is a requirement for being a coach. Also, at least one coach at each practice must be CPR certified. Of course, the most important requirement for being a coach is that you are passionate about helping these girls grow and learn! Last Sunday I attended a 5 hour coach training and was thrilled with the enthusiasm of the new Exective Director and Program Manager who ran it. We started off with introductions and I found that most of the coaches were there for the exact same reason – they are passionate about fitness and want to pass that enthusiasm on to young girls. Next we watched a video from the Girls on the Run Website (you can watch it here) followed by a video just for coaches narrated by the founder, Molly Barker. Molly spoke passionately to the camera about the events of her childhood, specifically her pre-adolescense, that led her to eventually found this amazing charity. She described a disheartening moment where an adult made her doubt herself for the first time and how that moment was the first time she stepped into the “Girl Box,” an imaginary but very real place where girls go and unfortunately some never come out. According to Molly’s words on the GOTR website, “The girl box is the place where many girls go around middle school when they begin to morph into what they think they should be instead of being who they really are. The messages of the girl box vary but the overarching theme comes from a culture rooted in the belief that girls and women must conform to a set of standards that are often unattainable and dangerous to our health and well-being.” Molly’s video nearly brought me to tears as I remembered the moment that I first stepped into the Girl Box and went from a very confident child to a very insecure young woman. To be completely honest, a big part of me was still in that box until very recently when I discovered how powerful and confident fitness makes me. In the late afternoon, returning coaches joined us newbies for the last hour and a half of training. All of the returning coaches introduced themselves and told us what their favorite part of the program is. Many coaches mentioned that watching the girls complete the 5k at the end of the season is their favorite part, whereas others mentioned that watching the girls transform from being shy and reserved to outspoken and confident by the end of the season is the best. We spent the rest of the afternoon discussing tips and tactics for being a good coach and how to work with girls in 3rd – 5th grade. I left the training that day full of anticipation for the season to begin during the week of September 19. How You Can Help Too! Want to be a coach? 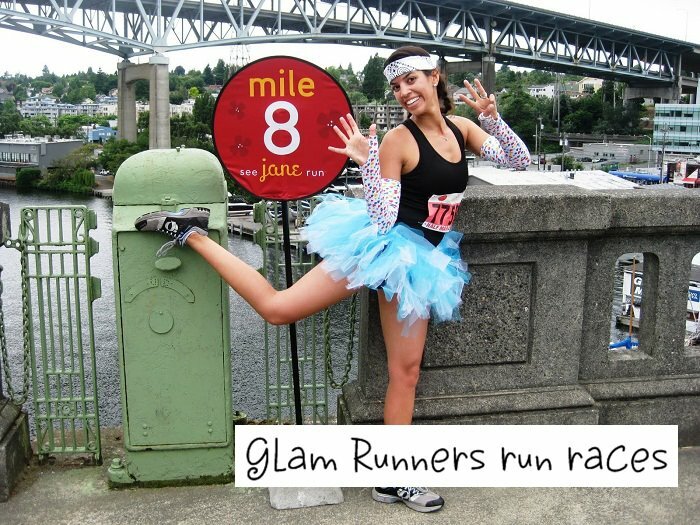 Or want to be a Running Buddy for the season-ending 5K? 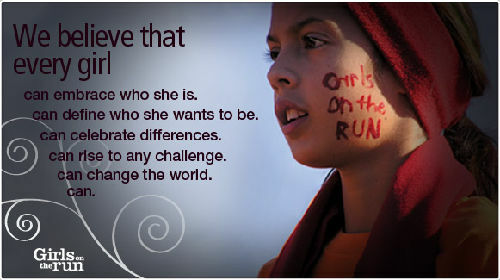 You can get more information about Girls on the Run at http://www.girlsontherun.org/default.html and can apply to be a coach or running buddy through your local chapter (i.e. 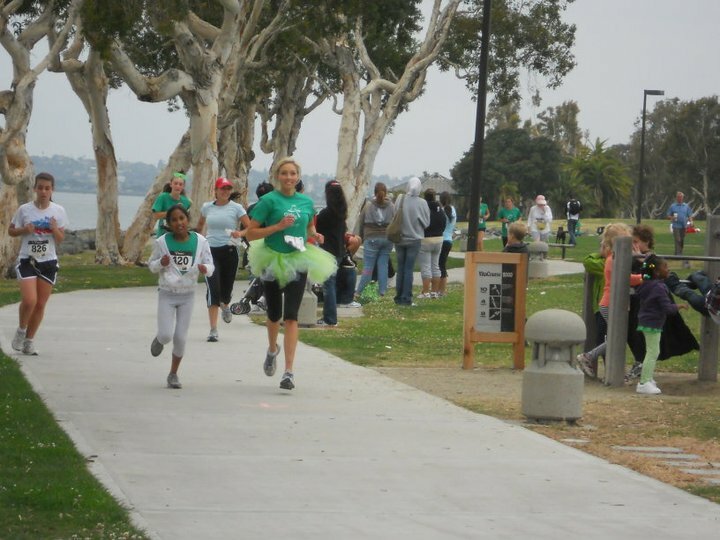 the local San Diego chapter website is http://gotrsd.org/ ). There are chapters nationwide. If you don’t have time to commit to being a coach or a Running Buddy, you can still benefit GOTR by signing up to be a SoleMate. SoleMates can fundraising while training for a fitness event such as a marathon, 5K or triathlon. I am more than thrilled to be a part of this organization and I can’t wait to meet my group of girls! Stay tuned for more updates on my first coaching season to come shortly! I think Girls on the Run is incredibly lucky to have you involved. Your spirit is obviously connected deeply to our mission. Thanks for sharing it with us…I’m incredibly happy for the girls you will touch. Wow! This compliment couldn’t mean any more to me. Thank you for your kind words and I will definitely be doing my best to uphold your mission! Thanks! I actually tried to post it to the GOTR Facebook page when I wrote it but it wouldn’t let me! Thanks for reposting 🙂 I remember you from the training – I love the tutus!